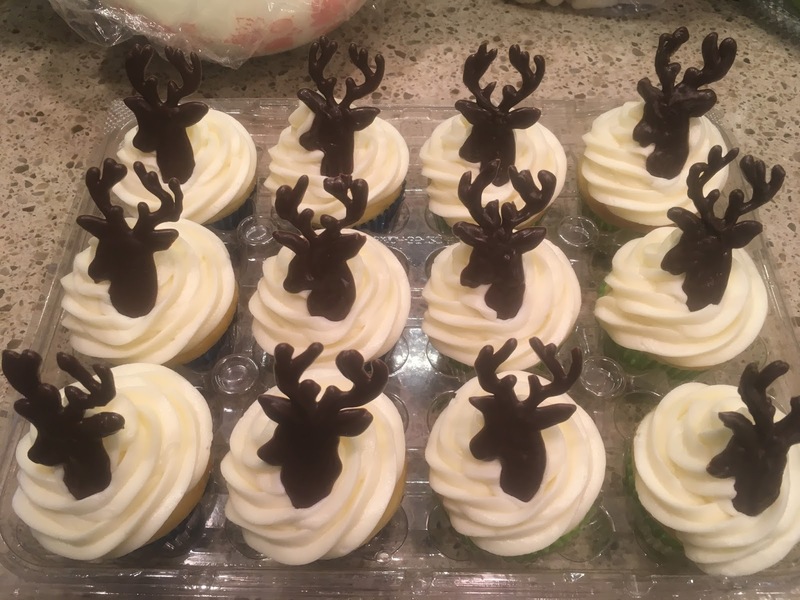 I was asked to make a birthday cake with a deer theme for the sweetest little boys you have ever seen!. 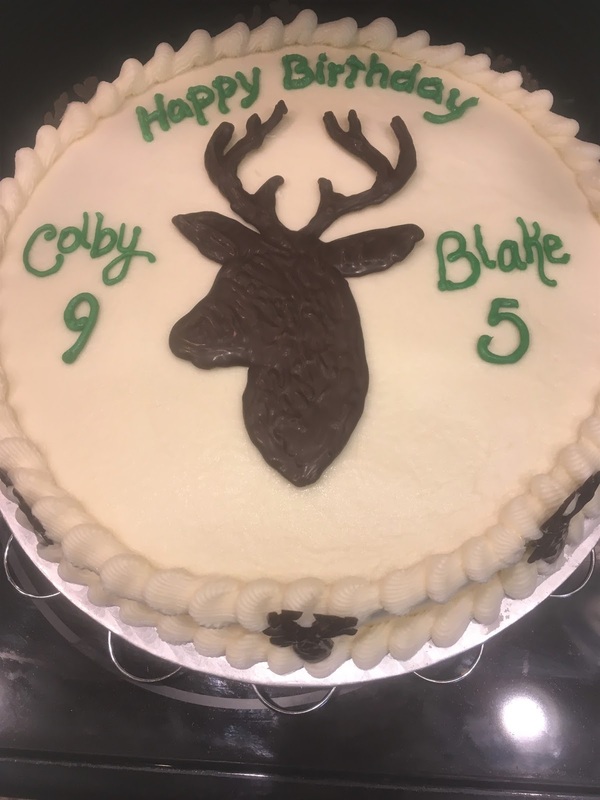 Colby and Blake celebrate there birthdays within days of each other. 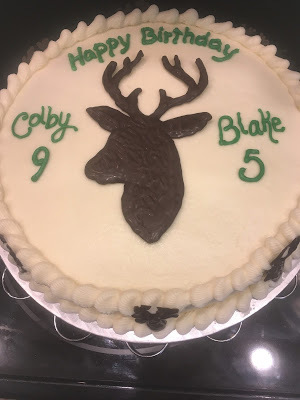 I have had the privilege to make a special cake for them since Colby's baby shower. It is always a white cake with Butter Cream Cheese Frosting. I don't make many cakes anymore as they just stress me out. But Erin (mom) loves my cakes and usually picks pretty simple designs for the party theme. I remember one year she asked for Mickey Mouse.... I thought, Oh Oh Mickey cake has to really look like Mickey Mouse! 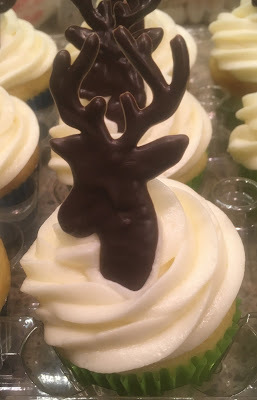 The deer heads is just melted chocolate piped over a patter under wax paper - pretty easy peasy! It looks like a boys cake and tasted like a million bucks!